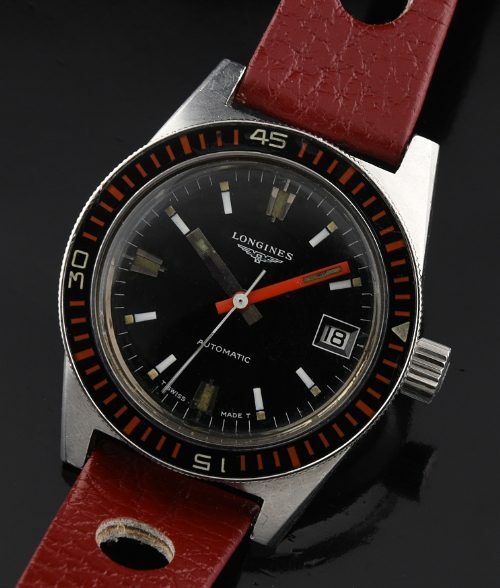 This is an interesting and uncommon LONGINEs dive watch from the 70’s. The steel Longines 37mm. 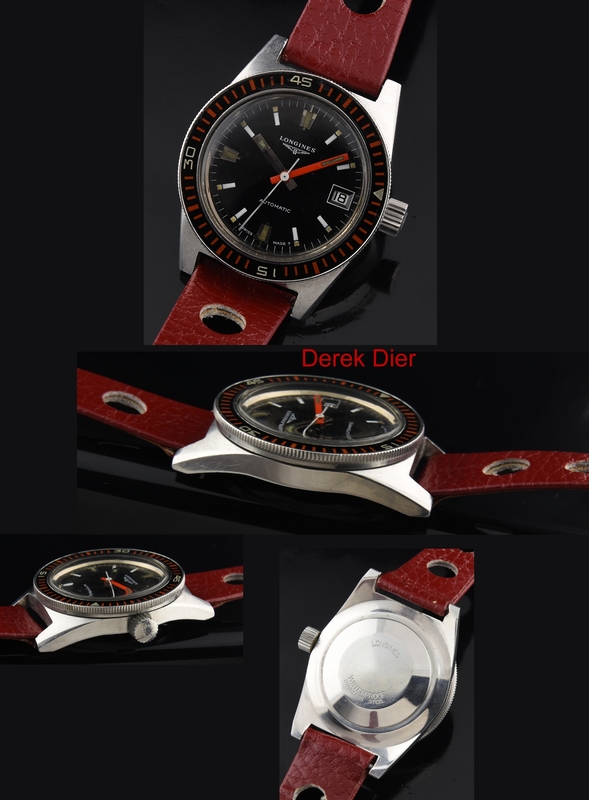 case has a red accented acrylic (original) turning bezel and a signed LONGINES screw-down crown. The automatic rotor winding LONGINES movement was cleaned and is accurate. You have to love the original dial with steel markers and large lume plots-very cool. Check out the original red hour hand and steel hour. You are not going to see one of these any time soon. Act fast.